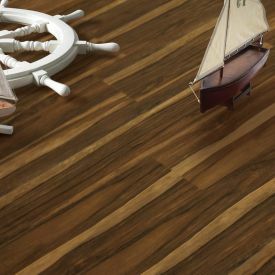 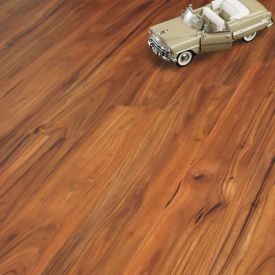 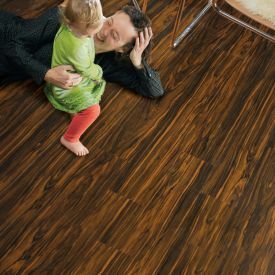 A statement of modernity and clean lines, Gerbur Aqua Click- Wenge is a great choice for those seeking a dark sultry floor that requires little to no maintenance that will last decades. 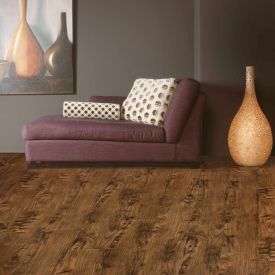 The added distinction with micro bevelled edging and embossed texture with Diamondshield coating gives this floor a character of its own. 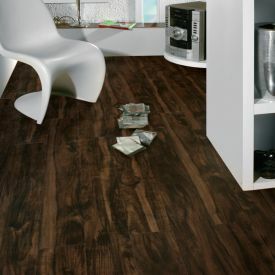 The rich dark chocolate colour brings in elegance and sensuality to your space. 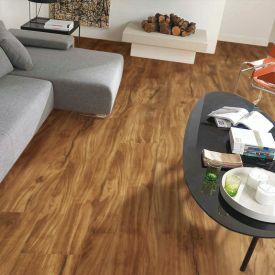 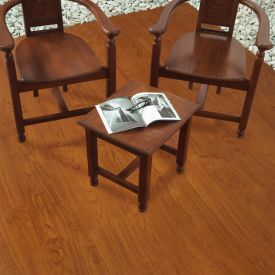 Gerbur Vinyl flooring conforms to all regulatory requirements of commercial flammability codes, slip resistant requirements, certified for low VOC emissions for safer indoor air quality and host of other safety codes.